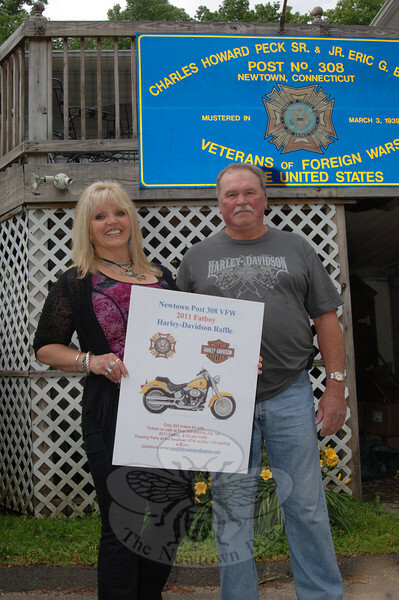 Nancy Crofoot and Bill Farley hold up a picture of a Fat Boy Harley-Davidson Motorcycle that the Veterans of Foreign Wars Post 308 is raffling. Two hundred-fifty tickets are for sale at the VFW Post for $100 apiece. The raffle drawing and party will be at the VFW post on November 11 starting at 2 pm. Contact post308newtown@yahoo.com with questions.